Flip Out Mama: Family Photo Day Twitter Party & Shutterfly Giveaway! Family Photo Day Twitter Party & Shutterfly Giveaway! Family photos. Omg. I am going to throw up. I don't even wanna think about that. So, I think this year we are going to try to do something a little different. We are going to try to do holiday cards with a picture we take ourselves. Shew, sounds better already. Shutterfly and Resourceful Mommy are having a Twitter Party to get ready for that all important Holiday photo, and to make the perfect greeting card. There will be prizes every three minutes! Here's how to make sure you get in on the action! 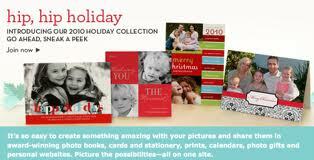 Shutterfly is giving away a set of 10 5x5 holiday cards! They have sooo many great holiday card offerings! Step 2. Go here, then come back and tell me which holiday card is your favorite! Giveaway will end on 11/15/2010 at approx 10pm. Winner will be chosen via random.org and will have 48 hours to respond or an alternate winner will be chosen. Good Luck!